Thursday, Apr. 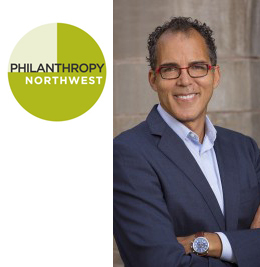 18, 2019, 6 – 8 p.m.
Philanthropy Northwest is pleased to bring James Forman Jr. as our next Racial Equity Series Speaker. How did the United States come to lock up more of its citizens than any other nation on earth? What can we do to change that? Professor James Forman has written many law review articles, in addition to op-eds and essays for the New York Times, the Atlantic, the New Republic, the Nation and the Washington Post. His first book is the critically acclaimed, Pulitzer Prize-winning Locking Up Our Own: Crime and Punishment in Black America (2017), which explores how decisions made by black leaders, often with the best of intentions, contributed to disproportionately incarcerating black and brown people. Locking Up Our Own is a book so compelling that it was named one of the New York Times’ Top 10 books of 2017, was longlisted for the National Book Award and became an instant Washington Post bestseller. Students: Thanks to support from UW-Tacoma, you are invited to attend this event for free. At the Forman event page, enter promo code: UWT19 to reserve your free ticket.